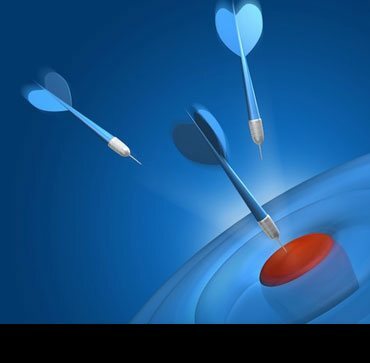 We have exclusive access to a wider variety of opportunities; many of our clients prefer to go through us than to advertise them. Using a recruitment agency in your job search will save your time. You need to apply only once to access number of opportunities. Our consultants can offer salary advice and helps you to get what you are really worth. Our temporary or contract assignments give you the opportunity to gain experience as well as try out different industries. Be ahead of the game! Our consultant can provide you with more insight in to the company, the job, the interviewer, the culture, the environment and much more. Recruitment agencies can put you in touch with companies you haven’t even heard of who may be able to offer you a great opportunity. Our reputation as a quality recruitment provider gives additional leverage to your application. Talent Track offers support and advice on improving your résumé and interview techniques. Maintain confidentiality, our consultant will retain your personal contact details and referee details until you give your permission to release them. It’s free – it won’t cost you a single $. We have best recruitment consultants of bangalore, and would like to provide you with comprehensive help on the entire recruitment process. Employers are always interested to know how your latest employment might be a fit to the positions they have to offer so always have your current or most recent position at the beginning of your resume. Include the month and year of all work history and education, and include a company description for each place you've worked. Keep it clear, leave lot of white space and only use 2 fonts max. Use bullet points rather than lengthy paragraphs for easy reading. A distraction to the contact of your resume is graphics or flowery fonts, so try to avoid these. Use Microsoft Word as it is more widely accepted. Keep it succinct, a resume should be no longer than 4 or 5 pages, depending on the length of your career. If your resume is too long the reader may not read your entire resume. In fact, they may not read it at all ! For each role - list your responsibilities. But most importantly, list your achievements. Clearly outline to the reader how you can add value to their business. For positions that are not related to your current job search, responsibilities need not be outlined in detail. Also list the reason for leaving each role, do not give the reader the impression you've got something to hide. Check for any spelling, layout or typing errors and get someone to proof read. 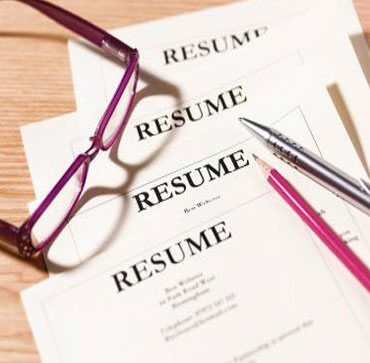 Remember your presentation of your resume is an indication of how you work, spelling mistakes and typing errors are not the impression you want to give. A cover letter is the best way to make yourself stand out from the competition by highlighting certain aspect of how your past experience might be a great match to the specific job requirements. Remember, a one-for-all cover letter is just like a free size T-shirt. It never looks good. Do not give a weak impression even before the start of the interview. Lateness shows lack of respect and poor time management skills. After the interview has been scheduled, find out the distance and directions to the venue. Do not assume you know “how much time it takes”. Being late to an interview adds stress…and being interviewed is already stressful enough. Dress for success is a common phrase. But, lot of candidates does not take it seriously. Unless the company you are interviewing with instructs you otherwise, wear business professional clothing. Remember that everything - your appearance, your tone of voice, your conduct - contributes to the impression (positive or negative) that you make. Be presentable - wear a pressed shirt, a tie and polished shoes. This interview could be a significant milestone in your career. Re-read the relevant version of your CV and the job advert, just before an interview. You'd be surprised how many people can't remember what they wrote on their CV. Also, be familiar with the job description so you can draw on your experiences, talents, strengths and abilities to connect with the company needs. Highlight how you're suited to that particular job. Not to forget, make sure you've brought with you everything you were asked for. This includes all of your essential educational certificates as well as personal portfolio (if any). As a general rule, the more famous the brand, the more they will expect you to have done your homework. Researching the company shows you're serious about the job. Do your homework before the interview; find out about the company's past, vision, competitors, achievements, numbers, etc. Some companies even have their candidate expectations somewhere on their website. Study all these information in detail. Nothing communicates disinterest like a candidate who hasn't bothered to do pre-interview research. On the flip side, the quickest way to a good impression is to demonstrate your interest with a few well thought out questions that reflect your knowledge of the organization. Be yourself and be honest! Don't pretend to understand a question or train of thought if you don't. The interviewer will pick up on this. If you don't know an answer, say so. Relax and be yourself. The fastest way to talk yourself out of a new job is to say negative things. You should never talk negatively about your current position, the industry, people that you’ve work with and previous nightmare dilemmas. Interviewers are interested more in how you overcome these challenges. Anything negative you say about any topic - will reflect negatively on you. If there is something you need to express that is negative, say it in positive way. Lack of confidence can be a big turn off. If you appear too nervous, the interviewer will think that you're not confident enough to do the job. If you are serious about getting the job, you’ll need to sell yourself as a representative of the company. Show yourself in a way they would feel proud of working with. Make the employer feel that you are excited and interested in the job opportunity rather than just coming to the interview to see what's out there. Maintain eye contact, greet the interviewer with a smile and a firm handshake (not too weak, not too strong), and show common courtesy. Don't be afraid to display your passion for the job or industry and to show confidence. You must read the interviewer’s gestures and tones and respond accordingly. Focus on the question that is being asked and don't try to anticipate the next one. It's OK to pause and collect your thoughts before answering a question. Give a targeted response to what the interviewer has asked. Be clear, concise and to the point. Don’t expand in endless explanations. You don't have to talk at all times in the interview. It is not only okay, but also essential to ask the interviewer some questions. Have at least three or four intelligent questions to ask him or her. Interviews are an exchange of information, and not coming in with questions shows that you did not prepare for the whole interview. Calling or sending a note after the interview is your way of showing your appreciation. It is a direct way of telling the company that you are truly motivated and want this job.